Opposition leader and self-proclaimed interim president Juan Guaido speaks to supporters during a rally to protest outages that left most of the country scrambling for days in the dark in Caracas, Venezuela, Saturday, April 6, 2019. 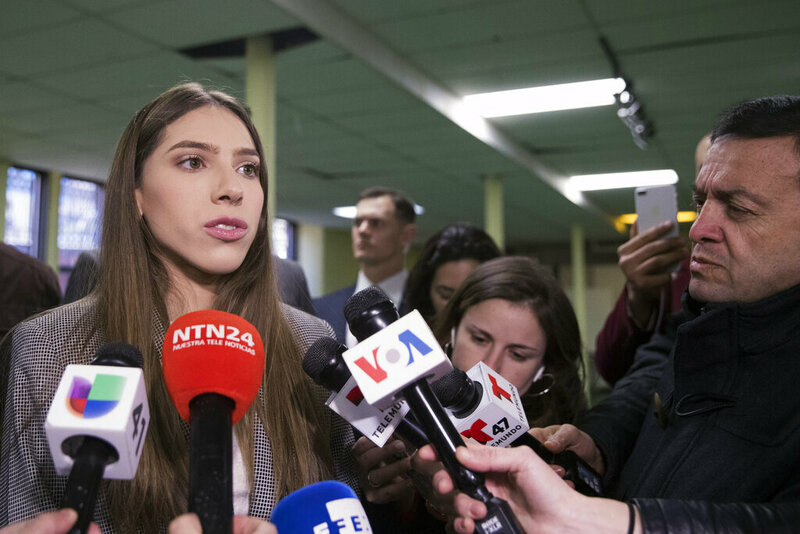 Guaidó tried to channel Venezuelans' ire by calling crowds in the capital to march to the headquarters of the national power utility, Corpoelec. "This regime has made big mistakes," said Beatriz Cisneros, a 62-year-old opposition supporter, critical of Venezuela's deteriorated petroleum industry, its broken educational system and hospitals that fail to provide basic care. "We're fighting for Venezuela to have liberty." Meanwhile, crowds of Maduro backers shared coffee and danced as they gathered around a stage blasting music ahead of a march to the presidential palace. 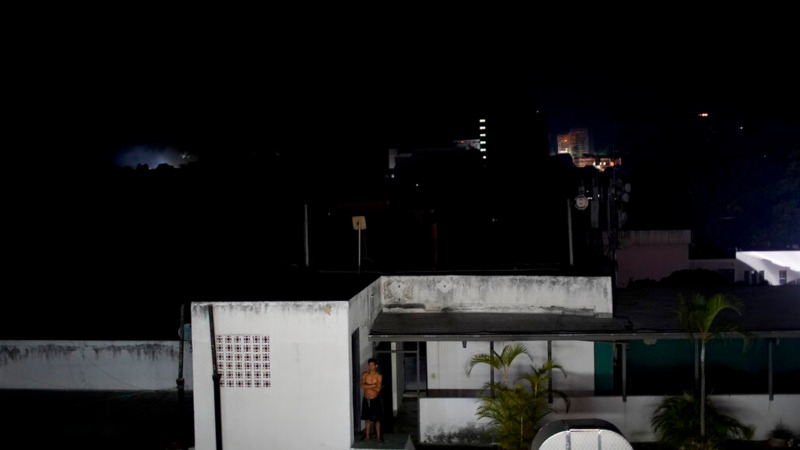 "Let's fill the streets of Caracas with joy," Maduro tweeted. "Together, in an unending mobilization, we'll defend our nation's peace and independence. No more interference!" 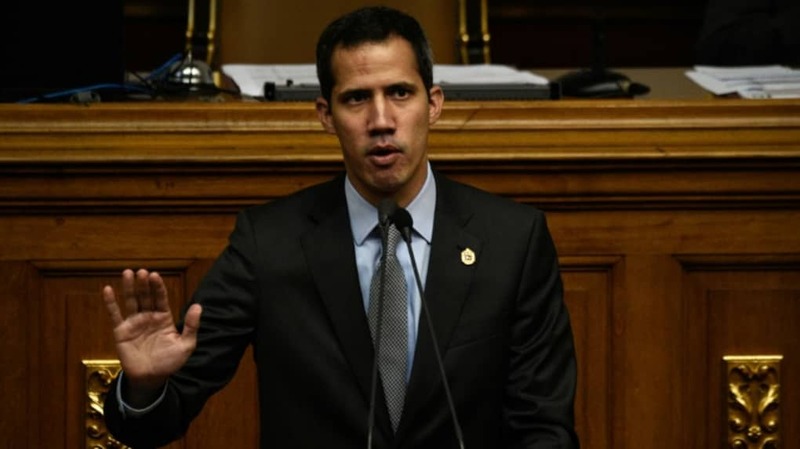 Guaidó, 35, arose from relative obscurity in January when he was named head of Venezuela's opposition-dominated National Assembly and said he was assuming presidential powers to force Maduro from power. He says Maduro is illegitimate due to allegedly fraudulent elections last year. Washington on Friday added to pressure on Maduro by imposing financial sanctions on two companies involved in shipping oil from Venezuela to Cuba, along with nearly three dozen ships. Amid the Maduro supporters was Ana Margarita Urbina, 57, who wore a bright red shirt, the color of Venezuela's socialist party, saying she marched to defend the country she said is under threat from the imperialist United States.